Helping clients win outside the courtroom is the passion and focus for Melissa Fell in her legal practice. Formulating the "concierge attorney" approach, Melissa began working with Shane Henry in early 2015, assisting him with complex divorce and custody cases, and has now expanded her practice to many other areas of legal service to her clients. Having gone through the experience of divorce, custody and now as a single mother, she is able to use her personal journey to offer select clients the support of an on-call resource to take them through the difficult process of litigation. She knows what each step of the process is like to go through, and as a trained Collaborative Attorney, Certified Mediator and Certified Life Coach, she can offer insight and assistance to the client to move through the process with the goal of the end result leaving them on a better path than when they started. She is passionate about the needs of children throughout the process and will assist the client in keeping the best interest of any children involved in the forefront of their goals. An additional benefit of her "Concierge Services" is her wide range of contacts throughout the community and beyond, to assist the client in matters that may arise as a result of a change in their circumstance, should it be a need for a real estate broker, banker, financial or tax advisor, counseling, or seeking a new career path. Melissa's goal is to put the "Counselor" back into the practice of law. As a Collaborative Attorney, Melissa focuses on assisting the client through the process of Divorce outside of the courtroom. Melissa's passion for the collaborative process has grown through her involvement in the Oklahoma Academy of Collaborative Professionals where she is an active member of the Board and serves as President-elect. With the rise in popularity of the "Amicable Divorce" Melissa stands at the ready to help Oklahoma clients and beyond follow this new path to a divorce that is private, cooperative and without the emotional trauma, time and money of the courtroom process. While still in school, Melissa became involved with the management of her family businesses. 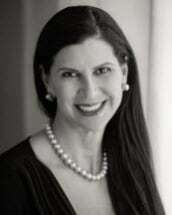 She brings her years of experience in business, oil and gas, real estate and Trust management to the practice of law. She is able to assist clients in determining the best course of action when combined assets are at stake in a divorce, as well as how to preserve that wealth for their children. This business experience lends to her ability to negotiate positive outcomes for clients in other areas of her legal practice as well, including contracts, personal injury and various types of disputes. She successfully negotiated a student disciplinary action for a PhD. Candidate, securing not only their degree but ability to reap the rewards that may otherwise have been denied. Her tenacious negotiating skills have worked to the advantage of personal injury clients, providing them with a much more substantial award than had they without the benefit of her skills. Continuing to work on professional development, Melissa is always seeking to hone her methods for dispute resolution. Melissa has competitively shown, bred and raised American Quarter Horses her whole life, acquiring numerous National, State and World Championship titles. She owned and managed a horse training, boarding and breeding facility for many years. Her deep knowledge of the equine world allows her to vigorously represent clients who have disputes arising out of purchase and sale of horses, training and boarding disputes and other areas of equine law. Born and raised in Tulsa, Melissa attended Holland Hall school from kindergarten through high school. She earned her B.A. in Philosophy in 1987 and her Juris Doctorate in 1995 from The University of Tulsa. As an undergraduate, she earned an internship with the House Budget Committee for the United States House of Representatives. In Law School, Melissa was active in the Student Bar Association and was admitted to the National Legal Honor Fraternity Phi Delta Phi. In spare time, Melissa enjoys tennis, golf, travel and cultural events. Volunteering on civic and charitable boards and committees, as well as being very involved in her son's school, keeps her actively involved in the community.